What is it about Love Island that makes the contestants do the things they do? Oh wait, what am I thinking, it’s probably because that’s what they signed up for, and they go into the villa knowing full well what their strategy is to come out on top at the end of the show. While some people in the villa hold steady, worming their way into the nation’s hearts (looking at you, Jack and Dani) others decide to flit between partners like social butterflies – if butterflies establish then destroy romantic relationships on a regular basis. One such butterfly is contestant Megan Barton Hanson, or as she’s quickly becoming known – Muggy Megan. Just days after ditching Eyal, then splitting happy couple Wes Nelson and Laura Anderson, the girl just can’t seem to get no satisfaction and now the 24-year-old has eyes on someone else. In tonight’s episode, model Megan can be seen getting intimate with new hunk Alex Miller, The Sun reports. In tonight’s episode, the new pair can be spotted spooning together in bed, while Wes worries over what games are being played and just exactly what Megan is up to. In fact, Alex is pretty straight forward about it all. I said to the boys I’m putting all my Megs in one basket. I am a proper man; I know what I want. Props for the pun at least. I’d definitely like to get to know you better and see how it goes. 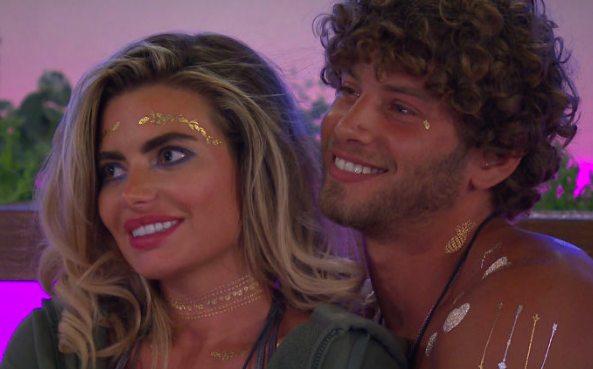 Not to be out-Essexed by Dani and Jack, Megan and Alex even start to call themselves the ‘Essex dream team’, with Alex saying they are the perfect match. Poor old Wes though, he knows there’s trouble brewing. Since the guys were separated from the girls into a different villa, to make room for new arrivals, paranoia levels are on the up. The guys back at the villa will be hitting on Megan. There’s going to be a couple of guys I assume who will be into her. She is a damn good looking girl so I am aware she’s going to get a bit of attention. I’m paranoid people are going to be all over her. Of course, Megan hasn’t stayed silent on the matter either, but seems to be keeping her options open. I’m not going to rule anything out. It was one day I spent with Wes and its still early days with you boys but I feel like I know already you and Alex are the only boys I’d probably get on with most. Unfortunately, Megan’s swift moves between men has left other reeling in her wake. Laura, who had seemed pretty comfortable with Wes, called Megan a ‘f*cking sl*t’ when she found out about her and Wes. It’s tough times in the villa. Love Island airs every day, except Saturdays, on ITV2 at 9pm.